Troubleshooting MySQL on Amazon can be a real test of patience. There are quite a few different things to watch out for in terms of connectivity & networking. Sometimes a checklist can help. Here’s my exhaustive list of things that can block you. You may need to make your source IP wildcard *more* aggressive. For example consider ’10.%’. You *may* even with with ‘%’ which allows *all* source IPs. This may sound dangerous, but if you use a tight security group (see item #3 below), you can still be safe. IPTables is a Linux service that acts like a private firewall for each server. Some AMIs will have it enabled by default. If you’re having trouble like I did, this can definitely trip you up. That’s because your connection will fail silently without telling you, hey the OS won’t let me into that port! If you are a networking pro you’ve probably already fiddled with iptables. Feel free to add specific rules, and keep it turned on. However I’d recommend just disabling it completely, and using your Amazon security groups to protect your ports. Also: Are SQL Databases Dying Out? What’s happening here? We can’t specify a fixed set of IP addresses because they can change in Amazon. So essentially what we’ve done is say *any* requests from servers in our Amazon package, which are in the webserver_group security group, can connect to port 3306. Pretty cool right? This means we’re pretty locked down. No internet connections to 3306, so we can be a little looser (see item #1 above) about our grants and source IPs. What about if you want to use your GUI tools to hit your Amazon hosted MySQL boxes? Say you like to use the Oracle Workbench, Navicat or Toad to connect to MySQL. One way you could do this is configure your db_group to allow 3306 from your office subnet. Then anyone VPN’d into your office will be able to use the tools they like. Another option is to use Amazon VPC for your servers. You’ll setup an Amazon Virtual Private Gateway, which is a direct VPN connection between Amazon’s datacenter and your datacenter. This can be a messy process, and you’ll want to contact your network admin to help. Once it’s setup, amazon boxes appear to sit on your office or datacenter network. Cool stuff! Read this: Why are MySQL experts in such short supply? If MySQL is bound to the wrong IP address you can have real problems. First be sure skip_networking is OFF. If it is ON change it in /etc/my.cnf & restart MySQL. You have two options for troubleshooting on the webserver side. If you’re simply trying to check by mysql command line, you may get blocked up if the network settings & security groups aren’t configured right. So use telnet first. If you don't get a responce, it's not an issue with users or grants, but rather that the port isn't opened. Check iptables, check bind-address and check security groups. I had real problems doing a custom install for a customer. They didn't want to use a repository for various settings, but preferred downloading RPMs. There were a few other customizations which were tripping things up. 120328 21:32:40 [ERROR] Do you already have another mysqld server running on port: 3306 ? I spent hours spinning my wheels and not able to figure out what was happening here. At first it seemed a leftover pid file was the culprit. In the end it appeared the *old* /etc/init.d/mysql script was still in place, and the new yum packages wouldn't work with that. I ended up just scrapping the whole box, and starting from scratch. Sometimes you have to do that. After a clean build, all was fine. I like the image of this city of Mesa Verde. It’s fascinating to see how ancient cities were built, especially as an inhabitant of one of the worlds largest cities today, New York. I’m a long time relational database guy. I worked at scores of dot-coms in the 90’s as an old-guard Oracle DBA, and pivoted to MySQL into the new century. Would a guy like me who’s seen 20 years of relational database dominance really believe they could be dying? There’s a lot to be excited about in this new realm of db, and some interesting bigger trends that are pushing things in a new way. Join 15,100 others and follow Sean Hull on twitter @hullsean. 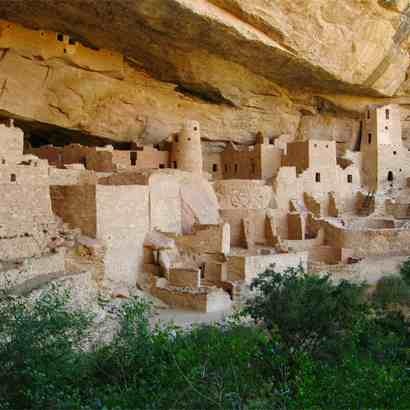 ORM probably sounds like some strange fossil archeologists just dug up in the ancient city of Mesa Verde. But they’re important. You may know them by their real-life names, Hibernate, Active Record, SQL Alchemy and Cake. There are many others. Object Relational Modelers provide a middleware between developers and the SQL of your chosen relational database. They abstract away the nitty gritty, and encapsulate it into a library. In a way they’re like code generators. Mark Winand talks about them in SQL Performance Explained warning of the “eager fetching” problem. This is DBA speak for specifying all columns (SELECT *) or fetching all rows, when you don’t need them all. It’s inefficient in terms of asking the database to read & cache all that data, but also to send it across the network and then discard it on the webserver side. Like a lazy housekeeper the clutter & dust will grow to overwhelm you. Martin Fowler is the author of the great book NoSQL Distilled. He tries to walk the fence in his post ORM Hate, trying to balance developers love of ORMs, and the obvious need for scalability. Ted Neward calls ORMs the Vietnam of Computer Science. Mattias Geniar points out that BAD ORMs are infinitely worse than bad SQL and another on High Scalability by Drewsky The Case Against ORM Frameworks. If you agree the ORM conversation is still a huge mess, you’ll be excited to know that NoSQL sidesteps it completely. 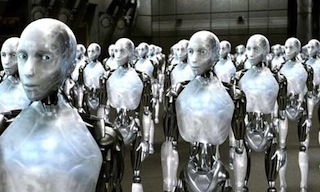 They’re built out of the box to interface more like data structures, than reading rows and columns. So you eliminate the scalability problems they introduce when you go NoSQL. That makes developers happy, and pleases DBAs and techops too. Win! NoSQL databases are not simply key value stores, though some like Memcache and Riak do fit that mold. Mongodb offers configurable consistency & durability & the advantages of document storage, no need for an ORM here. You also have a mix of indexing options, that go a little deeper than other NoSQL solutions. A sort of middle ground solution that offers the best of both worlds. Cassandra, a powerful db that is clustered out of the box. All nodes are writeable, and there are various ways to handle conflict resolution to suit your needs. Cassandra can grow big, and naturally takes advantage of cloud nodes. It also has a nice feature to naturally age out data, based on settings you control. No more monumental archiving jobs. Hbase is the database part of Hadoop, based on Google’s seminal Bigtable paper. Redis is another option with growing popularity. It’s a key-value store, but allowing more complex data in it’s buckets, such as hashes, lists, sets and sorted sets. Developers should be salivating at this one. The old world of relational databases treat data as sacrosanct. DBAs are tasked with protecting it’s integrity & consistency. They manage backups to protect against disaster. In this world, every bit of data written is as sacred as any other, whether it’s your bank account balance, or a comment added to a facebook discussion. But modern non-relational databases introduce the idea of eventually consistent. DBAs and architects would say we are relaxing our durability requirements. What they mean is data can get slightly out of sync and we’re ok with that. We’ll build our web applications to plan for that, or even in the case of Riak expose the levers of durability directly to the developers, allowing them to make some changes instant, while others more lax and lazy. Virtualized environments like Amazon EC2, give easy access to legions of servers. Availability zones & regions only widen the deployment options. So deploying a single writeable master, the way traditional relational databases work best, is not natural. Databases like Cassandra, Mongo & Redis are clustered right out of the box. They grew up in this virtual datacenter environment and feel comfortable there. Devs may whine at this statement, and to be fair it’s a generalization. The popularity of ORMs speaks volumes here. Anything to eliminate the dreaded SQL writing. Meanwhile DBAs bemoan the use of ORMs for they represent everything they’re trying to fix. SQL is hard enough, but the ugly truth is each database vendor has their own implementation, their own optimizations, their own optimal tweaks. Even between database versions, SQL code may not perform consistently. Identifying slow SQL and tweaking it remains one of the primary tasks of performance tuning, for this reason. It hasn’t changed much in my two decades on the job. You may not have noticed, but there’s a whole spectrum of relational databases on offer. Of course in the database world, most get infatuated with one, and that becomes their bread & butter before long. Their life, their passion, their devotion. That’s fine as far as it goes, but Winand really stands out, offering a spectrum of ideas and optimization techniques for different platforms. If you’re an Oracle-only or MySQL-only dba you’ll gain a lot from this book but even more importantly if you work in professional services, and need to communicate with DBAs brought up on one of these platforms, it becomes like a rosetta stone for SQL query tuning. I find database books and methods fall into two sort of broad categories. There’s the call Oracle support method, where you’ll be handed one very specific set of steps, commands, and a path to solve each specific problem. It’s more about memorization, it’s like they actually hand you the fish. Then there is the investigative method, where you learn how to use a magnifying glass to look at fingerprints, and check for DNA samples, and interrogate suspects. You know learn the tools of the trade. That’s what Markus brings you, in all it’s delicious glory. Another gripe I have of technical books is that the publishing model is, this is a textbook and since the price tag is large, let’s make the physical book large! Of course no one wants to carry those books around. I even recently bought a kindle to solve this problem. 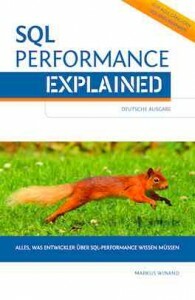 SQL Performance Explained is more a paperback book form factor, and that means you can tote it around with you easily, and keep it with you at work. Read it on the train, commuting to work. 200 pages packed cover to cover with all sorts of good chapters, including a primer on indexes & types, scalability & performance, joins, clustering, Top-N queries, DML, and more. If you’re a real rock bottom beginner, you might want to dig a bit more on your SQL syntax, and some of the basics. You could also keep a 101 book side-by-side, while you’re reading this book. For the intermediate & advanced DBAs out there, this book will sit comfortably in your paws as you flip the pages and learn something new. For instance just today I learned that Postgres can index NULLs while MySQL, Oracle and SQL*Server cannot. Learn something new everyday. After twenty years of consulting, I’ve seen a few patterns emerge. Besides the spectrum of team & communication challenges, firms hitting the performance wall often have issues with their relational databases. Yes those databases are sometimes on the wrong hardware, or their are other obscure problems with setup or configuration. But the bulk of issues center on badly written SQL. SQL is a much reviled language and often misunderstood. And it doesn’t seem like developers have gotten that much better at it over the years. It would explain the rise of NoSQL databases, as they often speak REST or xml, no need for pesky sequel. One parting note. For all the devs and architects out there, who want to sing the virtues of ORMs, this book hits that squarely in the nose. By showing how differently each relational database implements SQL, performs work, and optimizes, Winand also illustrates the naivete behind trying to write database independent application code. If you’re a developer and don’t know how to profile a query or run explain plan, don’t walk, run to your closest Amazon.com store and get this book! If I were to offer two slight criticisms, it would be these. First, the index is a bit wonky. When I look under “P” for example, there’s no Postgres, while one quarter of the book is obviously devoted to that platform. Further, looking up NULL which are covered in depth, in various places in the book, only has one entry in the index, p54 on Oracle. So the index could be a bit more robust to be useful. The other criticism is more perhaps my bias. On page 96, when he discusses ORMs I thought he was rather… shall we say gentle. Although he clearly states that “eager fetching” is problematic, I don’t think he goes far enough to condemn it. In my experience ORMs are always trouble. Then again why am I complaining, their use keeps me forever employed. Want a copy? Markus Winand’s book site has all the goods!. 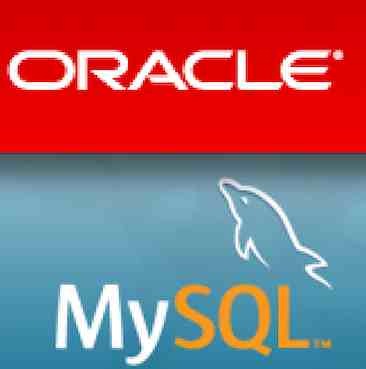 It’s a myth that MySQL somehow poses a threat to Oracle. Oracle’s customers tend to be large enterprises running apps like e-business suite. These are certified to run on Oracle, and further they sit close to finance. MySQL tends to be a choice of scrappy but nimble startups for their web-facing applications. They want to deploy in the cloud, and don’t want to deal with licenses. Plus they have the techops chops to handle the bushwacking of open source. Remember when Oracle acquired Sun? A lot of folks assumed Larry was after MySQL. Grab it & slowly smother it. But actually it was more frosting on the cake. Larry had for years expressed interest in cubes and clusters, and building an Oracle appliance. Whether this ever came to profitable fruition in the form of Exadata remains to be seen. But buying Sun for a song helped him do this. He’s money minded, so you’ll see in his decisions that comes first. In the late 90’s when a customer might spend $100k on Sun and $100k on Oracle licenses, Larry realized porting to Linux and pushing commodity hardware would be a win. So he pushed Linux, and customers could now spend $20k on commodity hardware and $180k on Oracle licenses for them. Imagine the 10million dollar budget if you’re having trouble with the math here. He also eventually moved the middle tier to Apache for similar reasons. I would argue Oracle corp overall pays lip service to contributing to open source, but they do that to some degree. What’s more, just as adopting Linux, and then offering their “unbreakable Linux” distro, and pricey support along with it, they’re doing similar things with MySQL. For enterprise customers, and those already comfortable with making the call to Redwood Shores, sales folks will happily direct them support contracts and enterprise add-ons. Naturally. And let’s not forget folks, there are already a bunch of forks. There’s the popular and every growing Mariadb which Google has put their muscle behind. Of course let’s not forget the very popular, very capable, and very bulletproof Percona distribution, along with the Percona toolkit and xtrabackup for real hotbackups. And for those looking to experiment, there’s Drizzle a work in progress, complete rewrite, and one that’s unfortunately not a drop-in replacement. Read this: What’s the four letter word dividing dev and ops? Join 6500 others and follow Sean Hull on twitter @hullsean. I just received my copy of the 5th Edition of Paul DuBois’ MySQL tomb. Weighing in at 1153 pages, it’s a solid text, with a very thorough introduction to the topic of administering MySQL databases. When I say debutantes, it’s a nod to beginners, for this book forges a very solid and complete introduction to the topic of MySQL. Start with installing the software & setting up your environment, and then move on to really understanding the SQL language, from commands to create objects, to ones for adding & modifying data, and then writing code around it. There’s a thorough discussion of datatypes, stored procedures, functions and views. Paul Dubois’ definitive reference makes a excellent compliment to High Performance MySQL. They should sit alongside eachother on your database bookshelf. For developers there are chapters on writing applications in C, another for Perl and a third for PHP. For DBAs there are chapters on security, backups, replication, understanding the data directory and general server administration. There is also good coverage of both 5.5 and the newly released 5.6 of MySQL. You can think of this book as a definitive reference to MySQL. It includes much of the online documentation that you would find at Oracle’s site, such as command & variable reference, and detailed explanation of how to use the client tools. Dubois also goes beyond the online documentation though, giving you a bit of a background around concepts, a broader more complete discussion. He also lays out the material in a very logical stepwise way, so for someone new to the MySQL world and the time on their hands, the 1153 pages could be read straight through. Why No Mention of Percona Toolkit? I have to admit I was a bit surprised there was no mention of Percona Toolkit. Perhaps it was buried in some dark corner of the text I missed, but it made no mention in the index at all. Percona Toolkit of course is a tool that every DBA should be familiar with. It is really an essential toolkit and fills the gaps that the prepackaged tools can’t help you with. Want to checksum your tables to compare data on master & slave? pt-table-checksum does the trick. Want to find out how far your slaves *really* are behind? pt-heartbeat is your friend. Want to analyze your slow query log to produce a useful summary report? pt-query-digest to the rescue. I also see no mention of innotop, which I would also say is an essential tool. These aren’t really advanced topics, so It’s unclear why they are missing. In the real world you need these tools to do your job. My more general criticism is where the book lacks real-world advice from a seasoned DBA. At times the writing feels a bit more of the official line on how things work. But in day-to-day devops and operations, things can be quite different. For example, stored procedures. In MySQL they are there, however using them brings real performance challenges. They’re not always compatible with replication. Given all of that, why include a whole chapter with endless discussion of them without strong reservations. It would lead a novice user or developer to incorporate them into an application only to be shocked and surprised at the problems they bring. Another example, looking through the system variables reference, I see the sync_binlog option. There is a short caution “…lower values provide greater safety in the event of a crash, but also affect performance more adversely”. Now reading this as a novice DBA I might think great, crash protection. But having tried this parameter in production, I found a huge impact on performance and had to disable it. What’s the advice here? It’s a bit confusing. This is a really great book as an introduction to MySQL, and delving into intermediate topics. I would sit it on your bookshelf along side High Performance MySQL. What this book lacks in advice, you can turn to the latter book, and what High Performance MySQL lacks in terms of introductory material this book covers in spades. They make a great compliment to each other.